The Russian Premier Liga has grown a great deal over the past couple of years. In general, the competition is one of the most competitive in Europe in which the championship, European places and relegation remains tightly contested. Furthermore, the average age of the league over the last five seasons has shown a clear influx of young blood with exciting talents slowly making their way towards the limelight in Russia. With the 2018 FIFA World Cup as a catalyst a new generation of playing is breaking forward and with the help of the team of FootballPredictions.com we have trimmed the list to top 3 youngsters predicted to make a name for themselves in the near future. The 20-year-old midfielder has enjoyed a bulking breakthrough at Ufa before earning a call from Russian giants CSKA Moscow in the 2017/18 season. Despite his tender age, Oblyakov was used regularly in his debut season with the Armeitsy last season, making six Champions League appearances with his club. 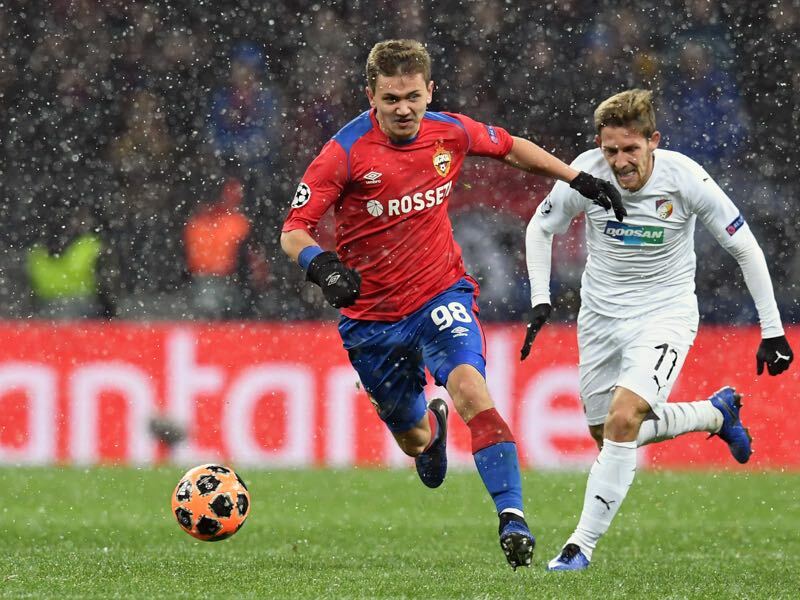 Oblyakov is making steady progress at CSKA and it is only a matter of time before this youngster fulfils the predictions and makes a step forward from the Russia U-21 into the senior side. Born in St. Petersburg the midfielder started in 80% of CSKA Moscow’s starting elevens this season in the RPL this season. The midfielder joined CSKA this summer from Ufa where he was a major part of an unlikely Europa League run — Ufa made it to the Europa League playoffs where they were eliminated by Glasgow Rangers. Key stats for Oblyakov include 84% pass completion, 31.8% duels won, 31.3% aerial duels won and 4.01 interceptions per 90 minutes. Both teammate and peer of Ivan Oblyakov, the talented forward Fedor Chalov is another young gun making big waves in the Russian Premier Liga. A CSKA youth product, Chalov was fast-tracked into the senior side at the Russian heavyweights after scoring four goals in a UEFA Youth League match against Monaco his team won 5-0 in November 2016.Widely considered as one of the most promising youngsters is Russia, Chalov is enjoying a prolific goal scoring count. A tally of 10 goals in 20 RPL appearances in his debut season with the senior side is a record big enough to have us predict a bright future for this lad. Chalov has in some ways defied the odds. Wyscout lists him at 8.89 expected goals and 12.45 expected goals and assists. The reality, however, is 10 goals and 14 scorer points overall to lead the Russian Premier Liga in both categories. Furthermore, Chalov has been excellent when it comes to getting into goalscoring situations scoring six with his right foot, three with his left and one with his head. Other key stats include 0.42 xG, 37.1% offensive duels won and 2.75 shots on target per game. Completing the list with yet another 20-year-old, let us switch focus from outfield players to a goalkeeper. 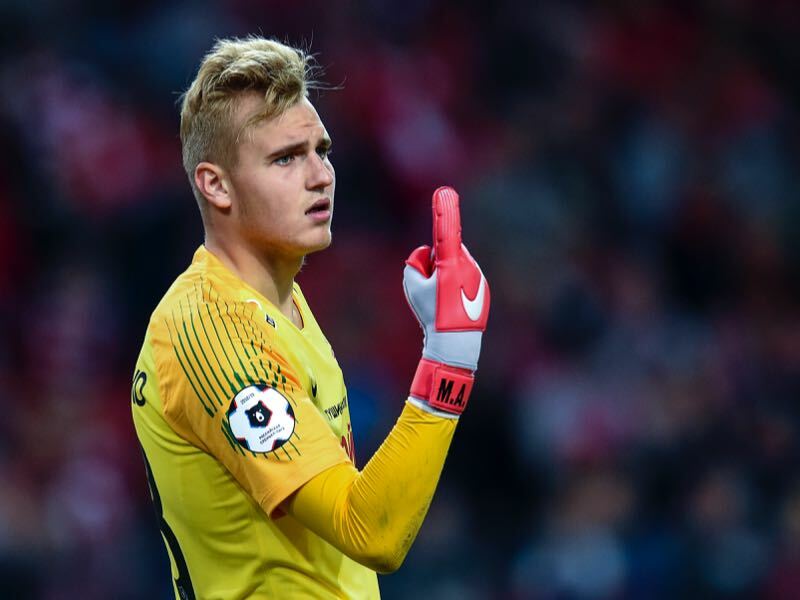 Aleksandr Maksimenko raised plenty of eyebrows when this young custodian was given his RPL debut during the 2018/19 season at Spartak Moscow, but the Russia U-21 international went on to keep five consecutive clean sheets and proof his worth at the biggest stage. He went on to collect 14 first-team appearances this season and will definitely be the one to keep an eye on as another in the line of highly talented Russian shot-stoppers that might end up at a top team in the English Premier League. At the same time, Maksimenko has recently lost his starting XI position to Aleksandr Selikhov. The 20-year-old has shown that he can compete on the big stage but he will have his work cut out to get the starting position in the team cemented.